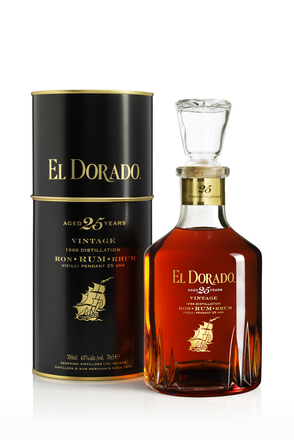 This 25-year-old El Dorado resplendent in a black and gold embossed decanter-style bottle with glass stopper was launched in 1999 to celebrate the new millennium. 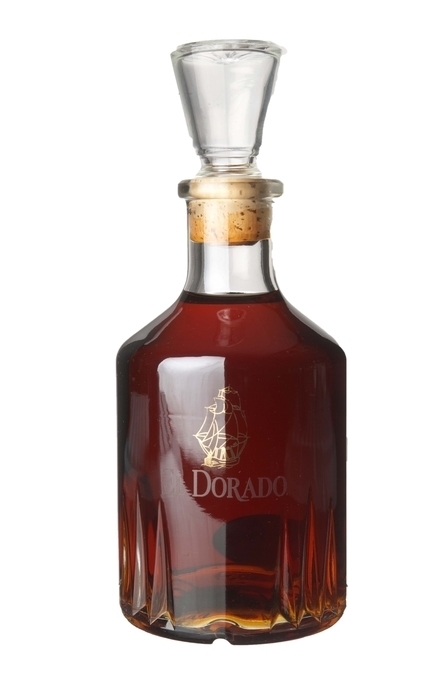 Production was limited to just 3,000 bottles for collectors and connoisseurs. Honeyed sandalwood, cigar tobacco and nutty butter. Slightly sweet (this must have some added sugar) velvety palate is almost too unctuous to swallow. Rich, lightly spiced chocolate and coffee with dried fruit. Dark chocolate, peanut butter and mild cinnamon and black pepper spice. Lingering mocha coffee and spice.